Home › General › WHAT WILL HAPPEN IN 2016? Yes, I know we’re still almost three months until the end of 2015, but one can never be too early when it comes to looking into the future. Home prices will rise more slowly in most U.S. cities. This can be attribute to the fact more homes will be coming onto the market. The biggest home-price gains will continue to be in the West. Cities like Denver and many in California (i.e. San Francisco) experienced double-digit gains in property values this year. Many analysts expect that the biggest home-price gains will continue to occur in these western markets. Mortgage rates will rise later this year and into 2016. According to some analysts, borrowing costs could begin to rise later this year and into 2016. Job gains will bring more home buyers into the market. In 2014, the U.S. gained about three million jobs and this year is on track to add another two million, according to Doug Duncan, chief economist at Freddie Mac. This means there are more people in a position to buy a home. Student loan debt will keep many Millennials out of the market. According to a recent analysis by the Federal Reserve, outstanding student loan debt now totals more than $1 trillion. It’s keeping many would-be buyers from entering the market and that trend is expected to continue into 2016. 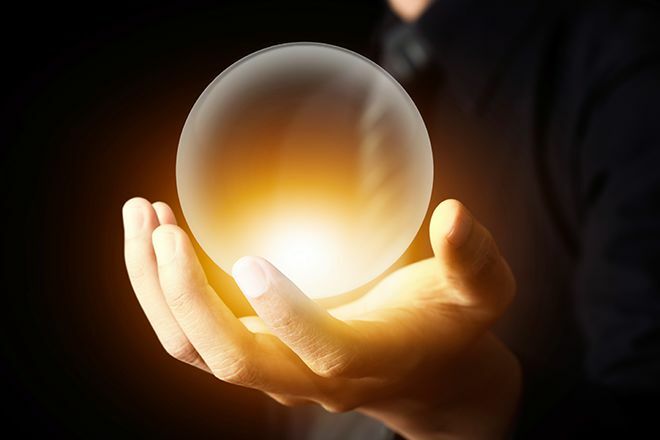 So, there you have it – a glimpse into the crystal ball courtesy of the HBI. Will all of the above happen? One never knows, but we’ll certainly be closely watching just like you all. Stay tuned!